Saturday Superstore which today had Christopher Reeve as a guest. We cleared the extension roof of snow and then made a giant snowman. 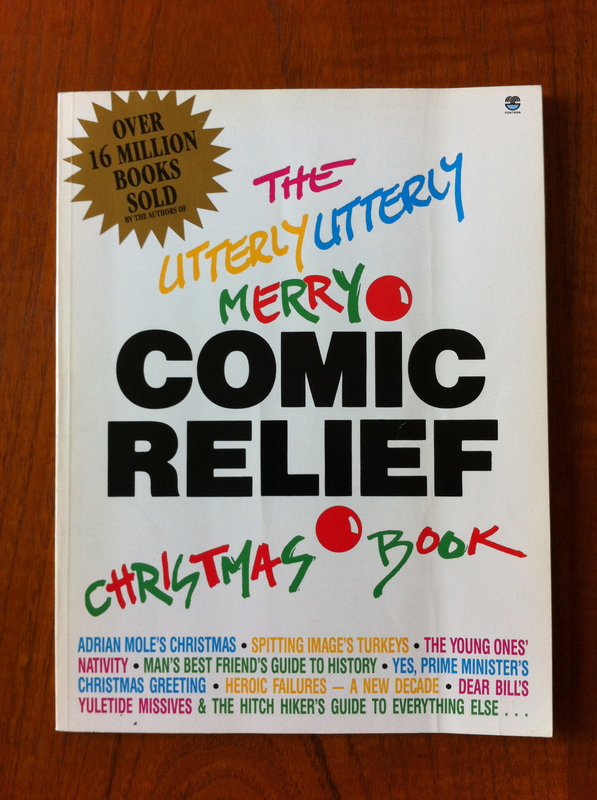 Admittedly it’s now a relic of that late, lamented time when the phrase “Comic Relief” stood for both of those things. But gags about Thatcher and Reagan and Frank Bough’s cardigans (cf Adrian Mole’s Christmas) are just as funny today as they were then. Well, they are to me. Plus it’s got new stuff by Douglas Adams, Michael Palin, Terry Jones, Smith and Jones, Spitting Image, The Young Ones, Rowan Atkinson, Stephen Fry… everyone you’d expect given the era. 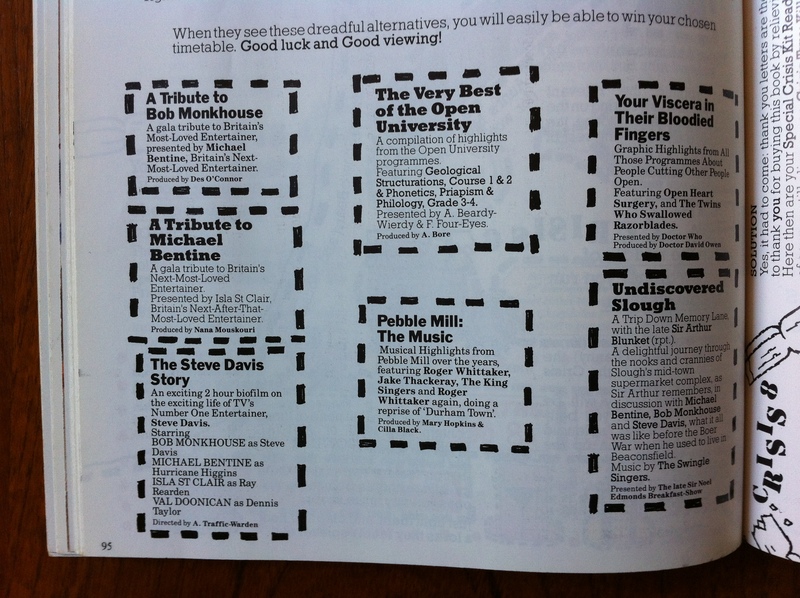 Oh, and spoof programme billings – in both Radio Times and TV Times fonts! 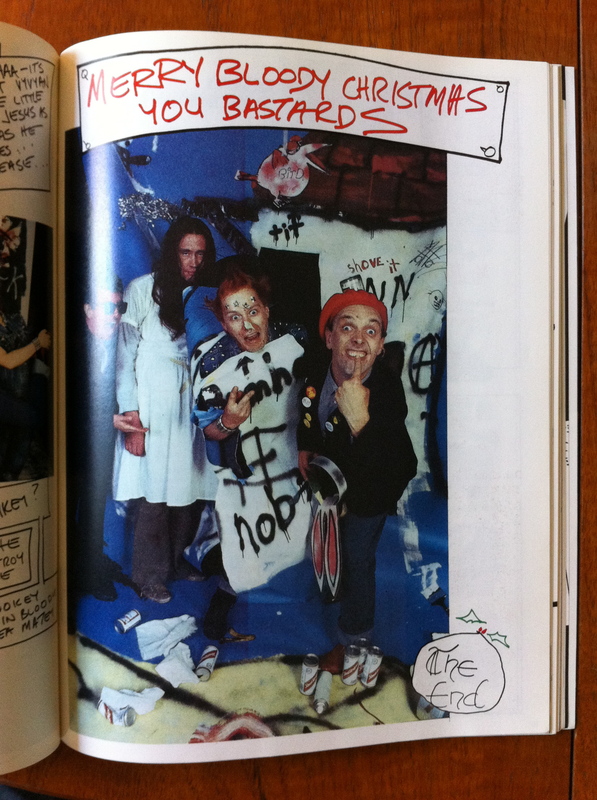 This entry was posted in January 1987 and tagged Reading matter by Ian Jones. Bookmark the permalink. I inherited this book from my auntie, presumably previously owned by my cousin, and I was very wary about where I read it, purely down to the presence of that Young Ones page, which presumably my auntie didn’t know was in it. I had a copy of this. loved it, I’m dreaming of a grey christmas, the gosspel according to a sheep, all great stuff.